This unique Pilates-based workout uses bone-strengthening techniques while emphasizing alignment and balance. Build your bones and boost your balance with this adaptable workout for bone and joint health. It combines Pilates, functional movement, strength training, and therapeutic exercise with bone-strengthening and balance techniques. Toning your arms, hips, back and abs, the Buff Bones® system also improves posture and is safe for those with osteoporosis. 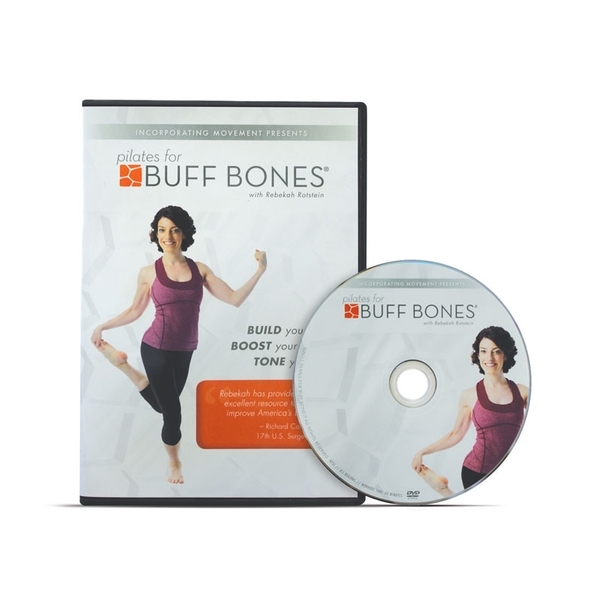 The program is used by Hartford Hospital's Bone and Joint Institute, and is led by Buff Bones® creator Rebekah Rotstein, PMA®-CPT. Rebekah is a movement educator and certified Pilates instructor who presents at conferences, resorts and symposia around the world on topics of bone health, anatomy and movement.